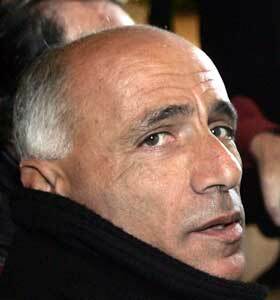 Mordechai Vanunu was released from Ashkelon prison to open air captivity in east Jerusalem on April 21, 2004, after 18 years, mostly all in solitary confinement. In 1986, Vanunu had been clubbed, drugged, bound and kidnapped from Rome by the Mossad because he told the truth and provided the photographic proof of Israel’s clandestine seven-story underground WMD facility in the Negev. After returning Vanunu to Israel, the whistleblower was treated as a traitor and locked away, while few protests were heard from the United States despite the significance of his evidence regarding Israel’s undeclared arsenal of nuclear weapons. Vanunu, who had been a technician in Israel’s Dimona nuclear facility, denied that he was a “traitor” to Israel. Americans also need to know that the restrictions that have held him captive in Jerusalem come from the Emergency Defense Regulations which were implemented by Britain against Palestinians and Jews after World War II. “Kennedy insisted on an open internal inspection. He wrote letters demanding that Ben-Gurion open up the Dimona for inspection. The French were responsible for the actual building of the Dimona. The Germans gave the money; they were feeling guilty for the Holocaust, and tried to pay their way out. Everything inside was written in French, when I was there, almost twenty years ago. “Back then, the Dimona descended seven floors underground. In 1955, Peres and Guirion met with the French to agree they would get a nuclear reactor if they fought against Egypt to control the Sinai and Suez Canal. That was the war of 1956. [U.S. President Dwight] Eisenhower demanded that Israel leave the Sinai, but the reactor plant deal continued on. “When [Lyndon] Johnson became President, he made an agreement with Israel that two senators would come every year to inspect. Before the senators would visit, the Israelis would build a wall to block the underground elevators and stairways. From 1963 to ’69, the senators came, but they never knew about the wall that hid the rest of the Dimona from them. On Jan. 25, 2006, after nearly two years of speaking to hundreds of foreigners since his release from prison, Vanunu was convicted by the Jerusalem Magistrates Court of 15 violations of a military order that had prohibited him from talking to non-Israelis and because he attempted to “leave the state” by taking a cab from Jerusalem to Bethlehem to attend Christmas Eve mass at the Church of the Nativity in 2004. Vanunu’s restrictions will be reviewed again by the Israeli High Court after Dec. 21, 2009. Regarding Israeli behavior towards Vanunu, Americans also need to know that in 1986, Israel kidnapped him from Rome but Article 9 of the International Covenant on Civil and Political Rights states: “No one shall he subjected to arbitrary arrest or detention,” including abduction of a person by agents of one state to another state. A few days before Vanunu was lured from London to Rome, where he was kidnapped by the Mossad, he spent three days being interviewed by Frank Barnaby, who had been employed by the London Sunday Times to review the 57 photos Vanunu had obtained at various restricted locations in the Dimona facility. Nearly two decades later, Barnaby provided expert testimony regarding Vanunu’s case. Barnaby testified, “I found Vanunu very straightforward about his motives for violating Israel’s secrecy laws he explained to me that he believed that both the Israeli and the world public had the right to know about the information he passed on. He seemed to me to be acting ideologically. “Israel’s political leaders have, he said, consistently lied about Israel’s nuclear-weapons programme and he found this unacceptable in a democracy. The knowledge that Vanunu had about Isreal’s nuclear weapons, about the operations at Dimona, and about security at Dimona could not be of any use to anyone today. In the 1980s, Vanunu was transported to and from his closed-door trial in a crash helmet, handcuffs and leg-irons, inside a van with blacked out windows that blasted noise to assure Vanunu would not communicate with journalists or supporters. During the court hearings, two Israeli security agents flanked him at all times in order to be able to cover his mouth if he began to reveal anything they deemed secret. The public, the press and all observers – even Amnesty International – were excluded from the hearings and the court’s judgment was censored before publication. On Jan. 25, 2006, the first day of Vanunu’s historic freedom-of-speech trial in Israel only two reporters from minor media showed up. Not one was in the court room on Feb. 22, 2006, when it was revealed that Israel had gotten Microsoft to hand over all the details of Vanunu’s Hotmail account before a court order had been obtained by eluding that he was being charged for espionage. “Sfard [Vanunu’s attorney] proved that the police had misled the judges who gave the orders to arrest me: to search my room, to go through my e-mail, to confiscate my computers and that they misled Microsoft to believe they are helping in a case of espionage.